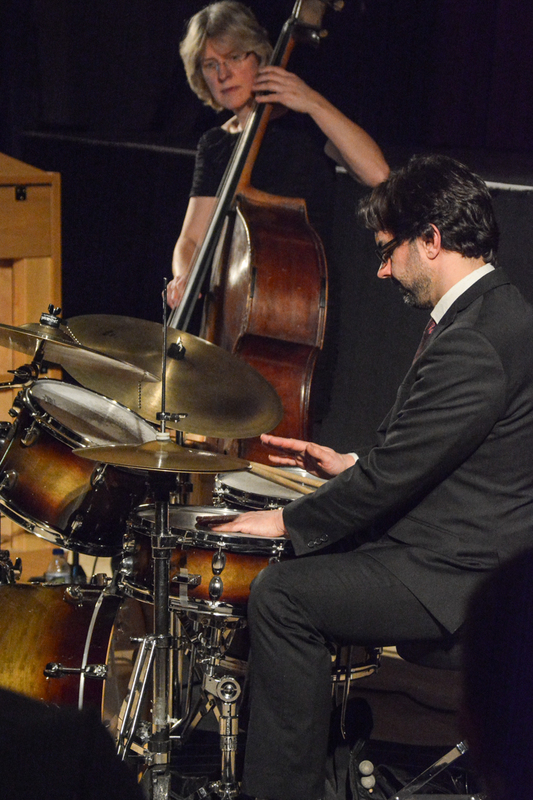 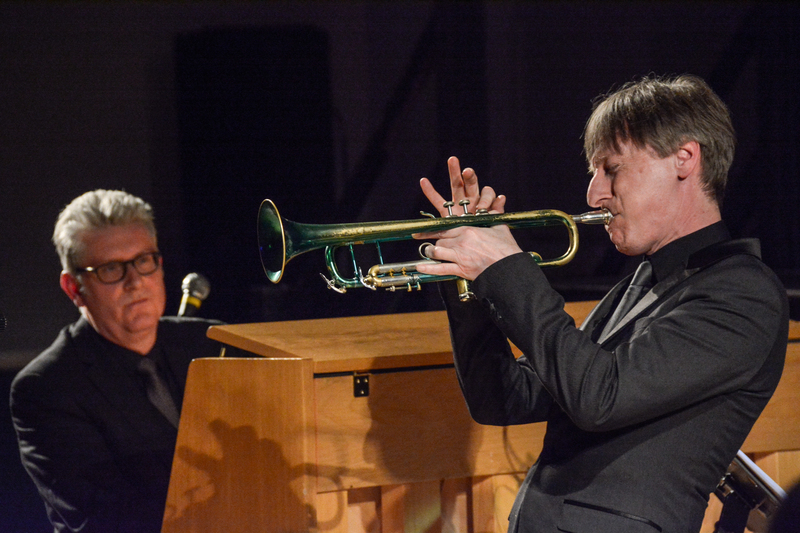 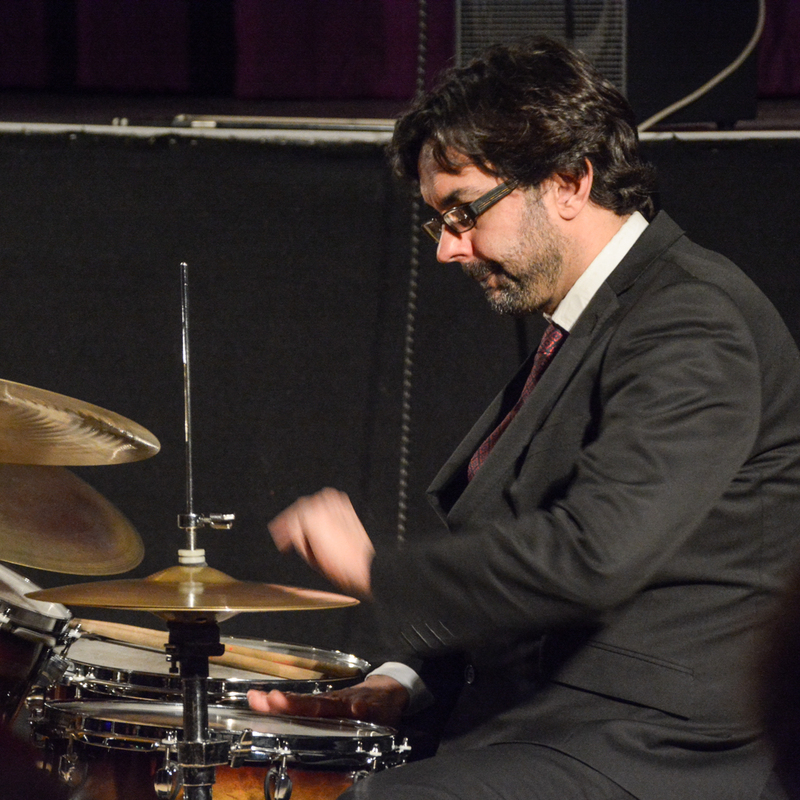 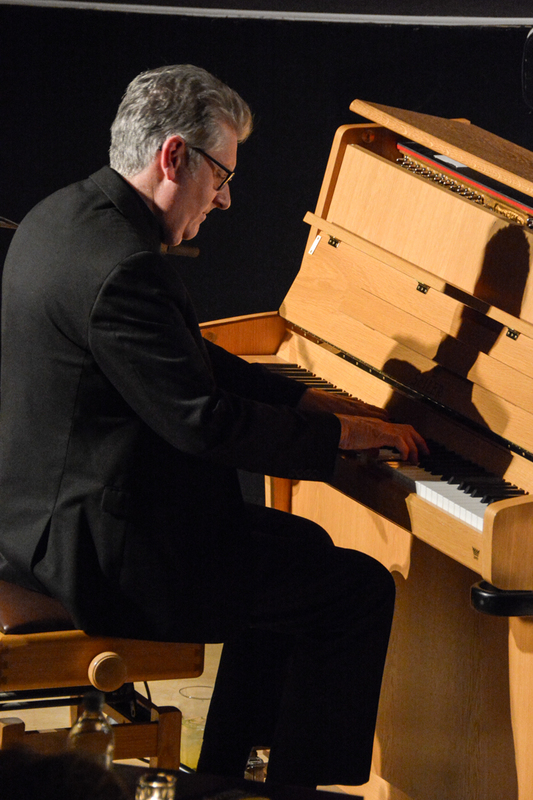 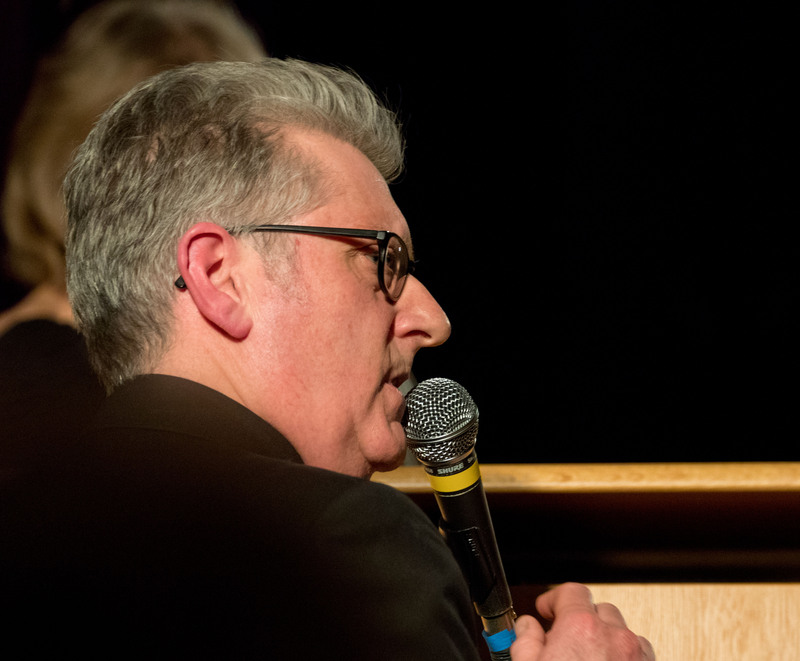 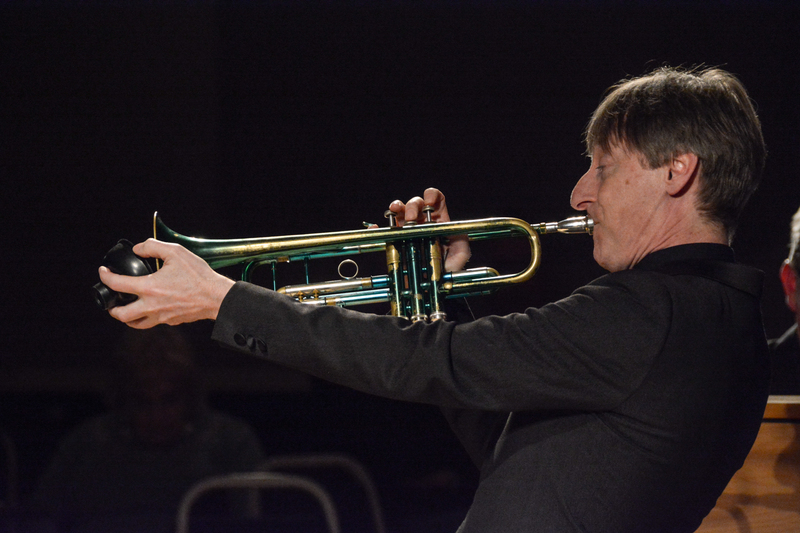 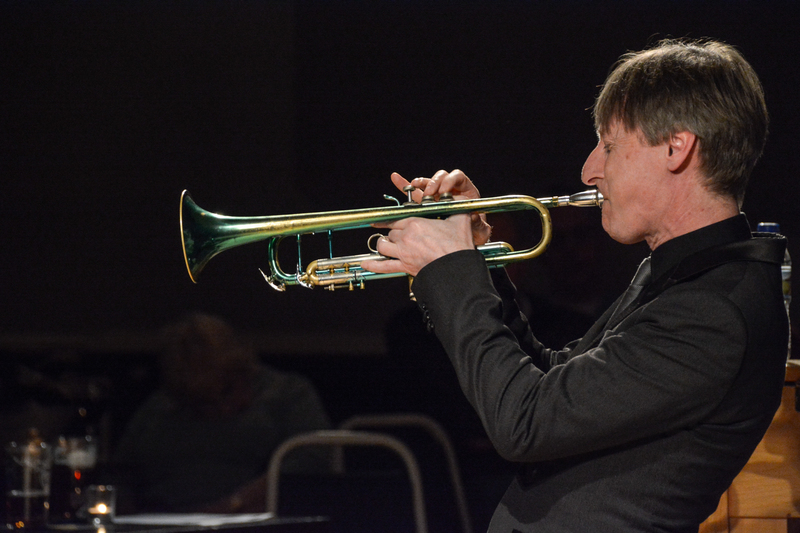 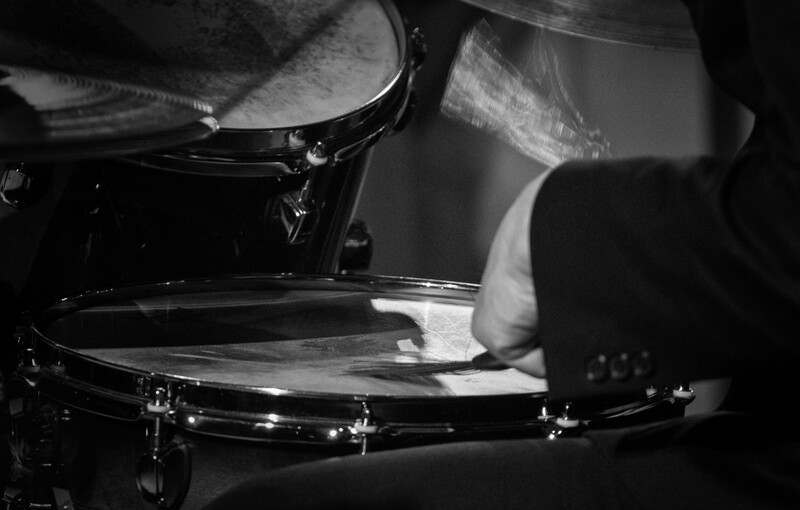 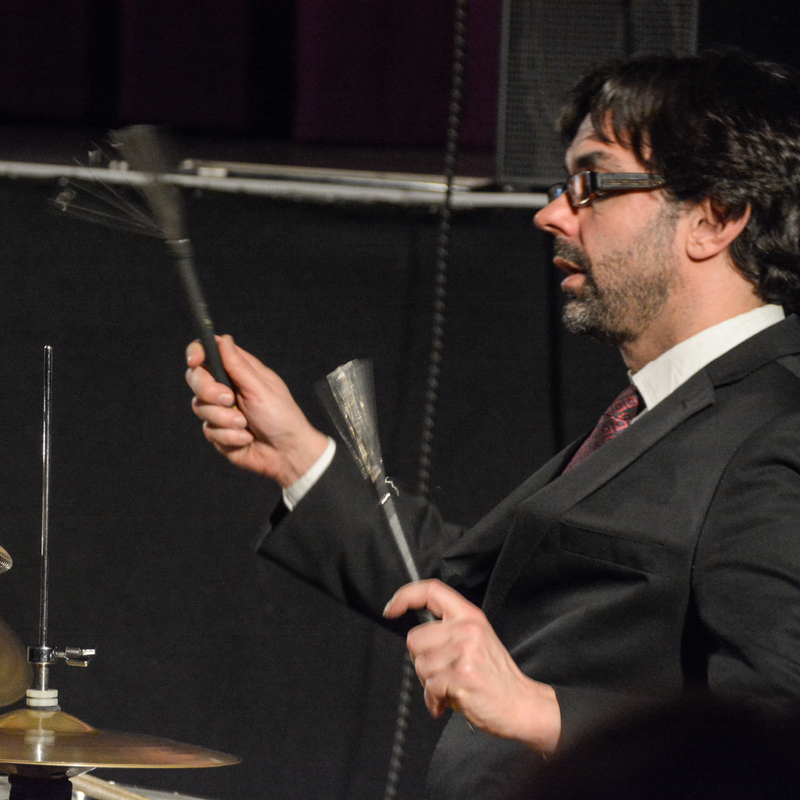 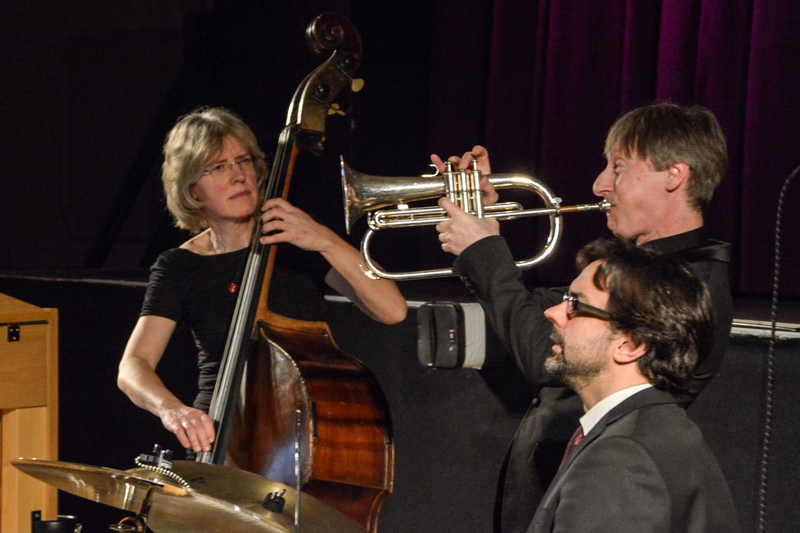 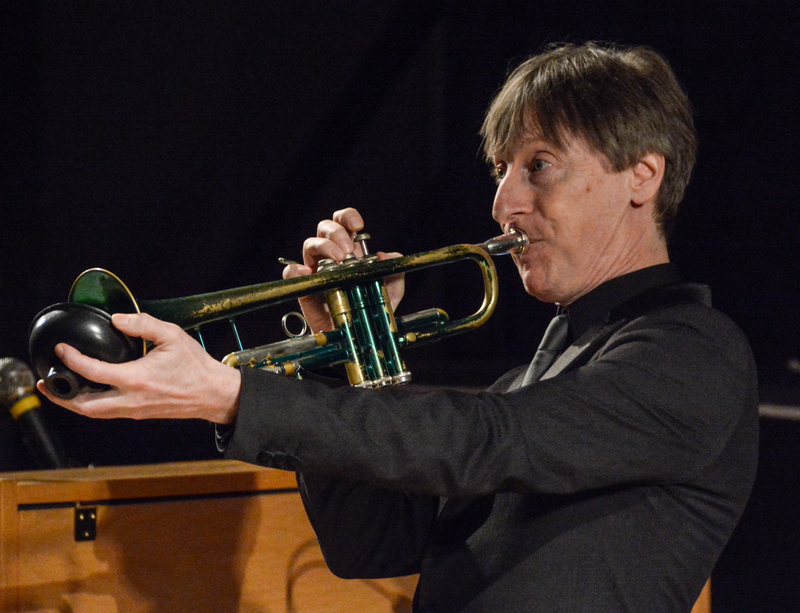 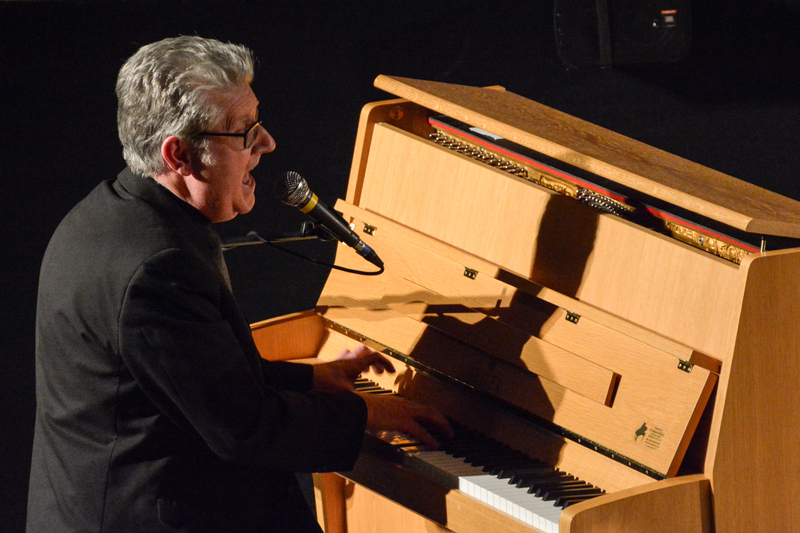 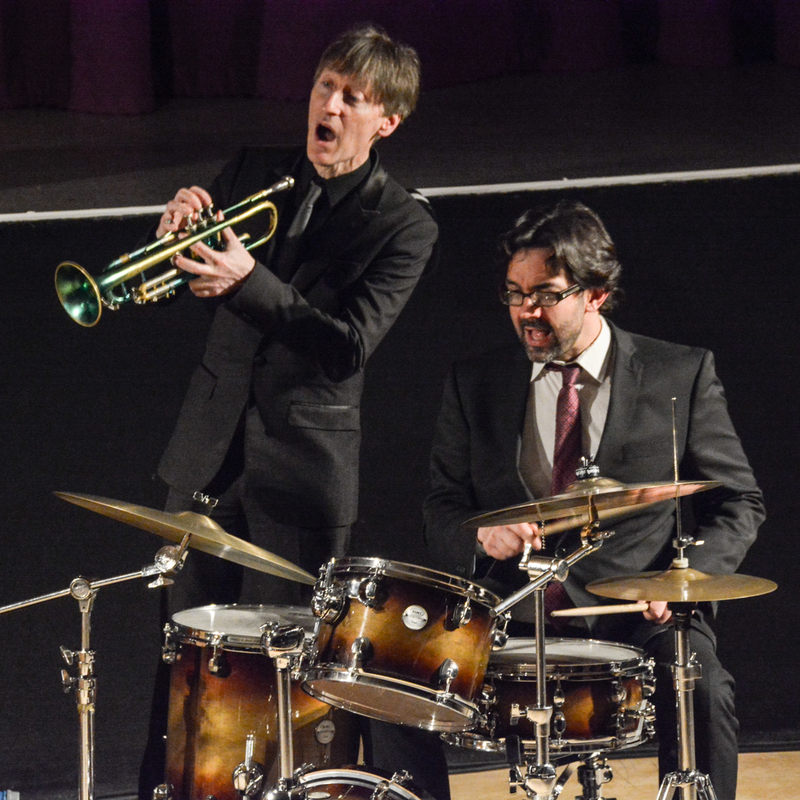 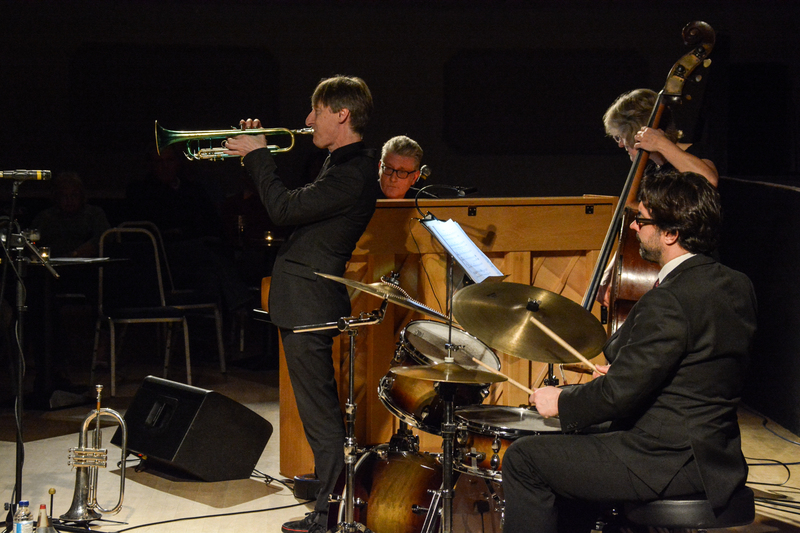 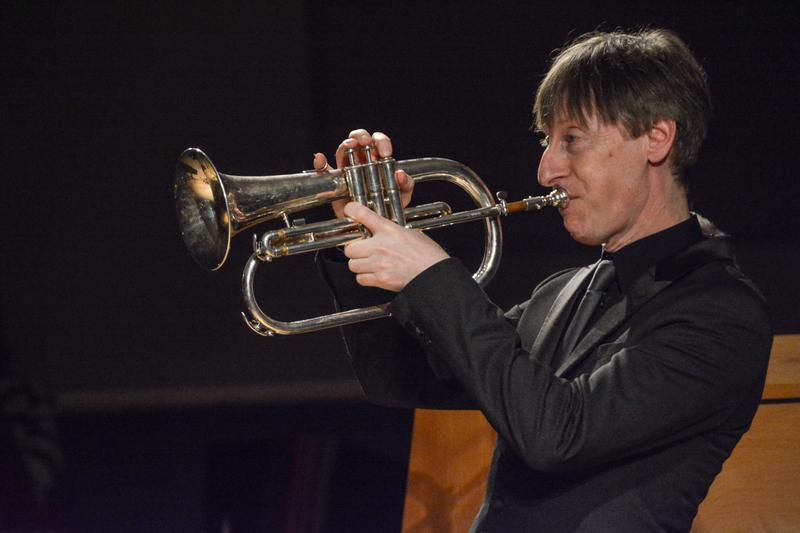 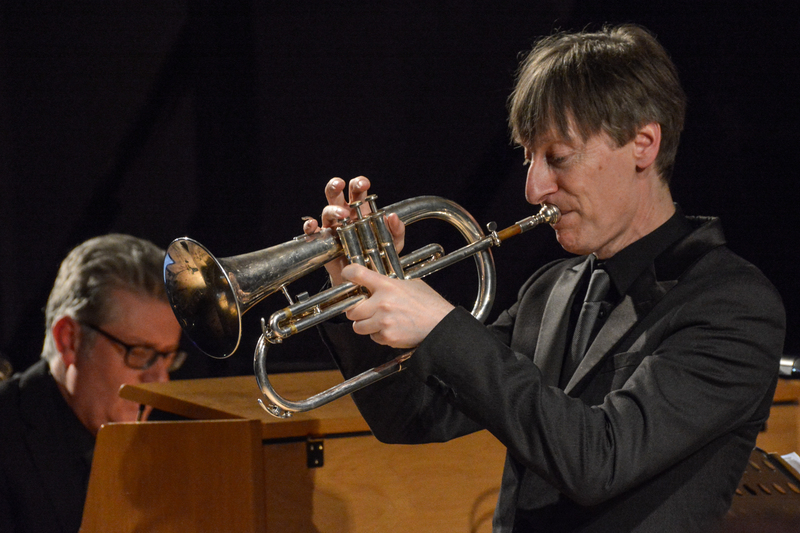 The Chris Ingham Quartet performed, to a sellout, audience, the “Jazz of Dudley Moore” on the 20th February. 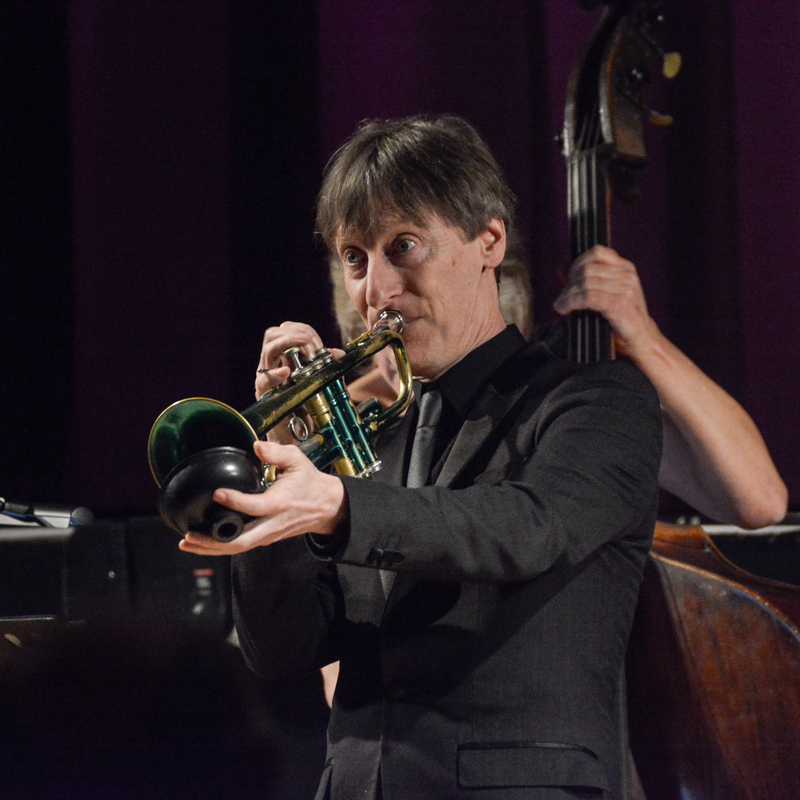 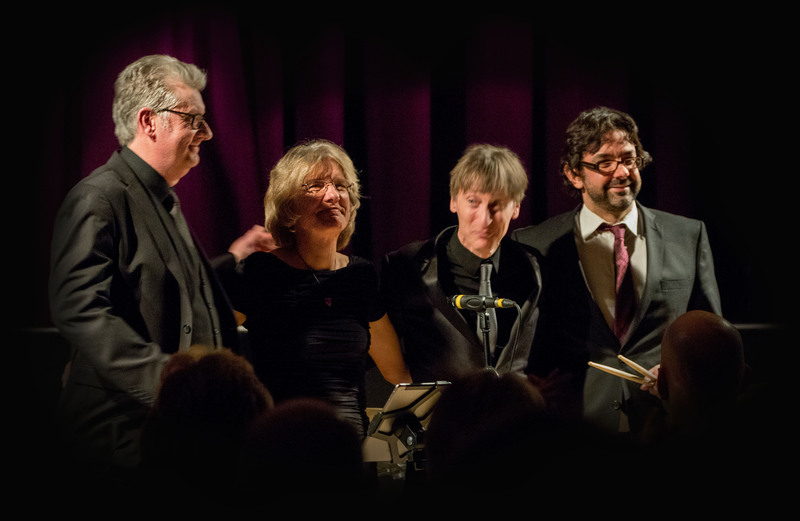 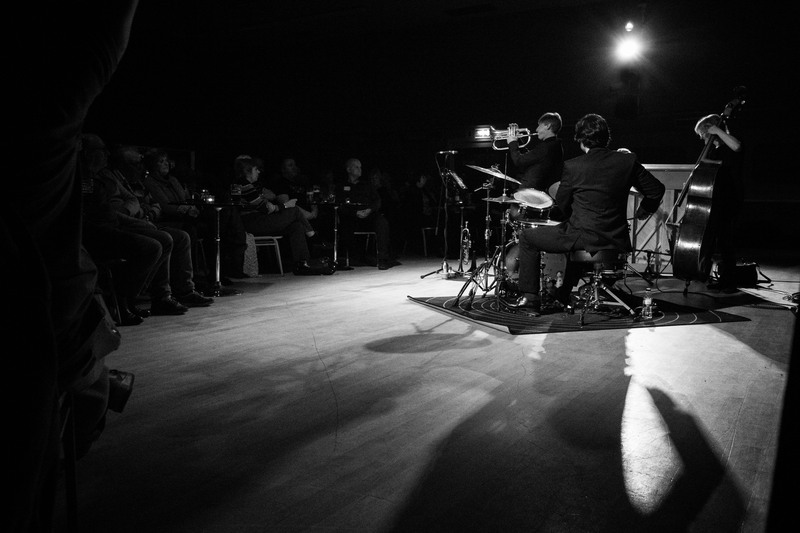 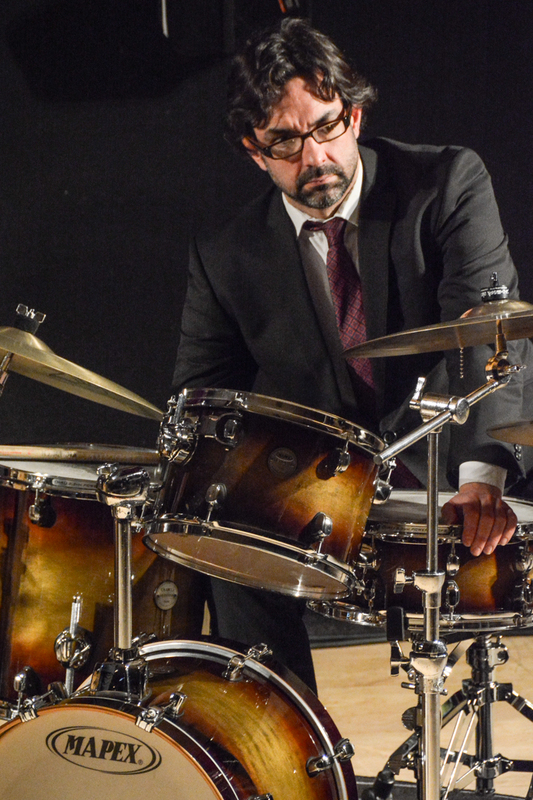 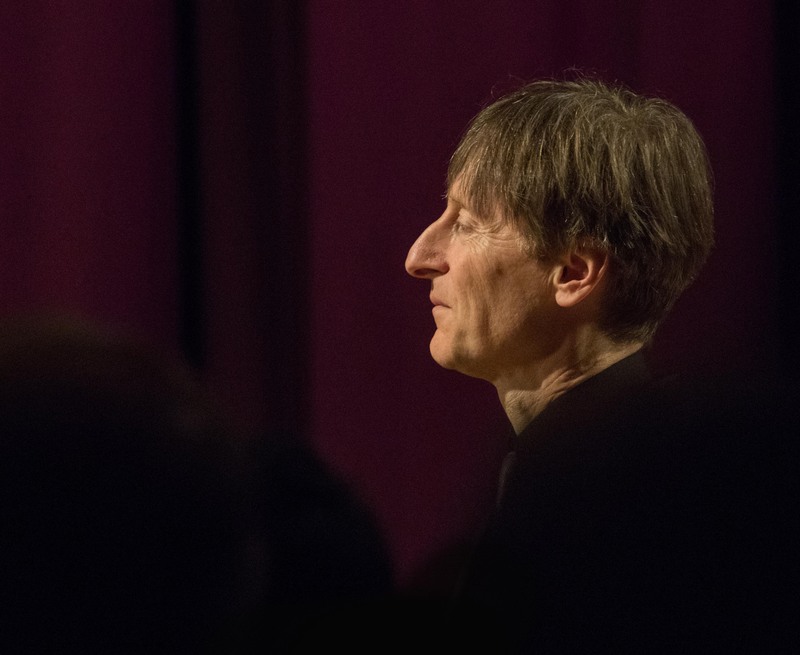 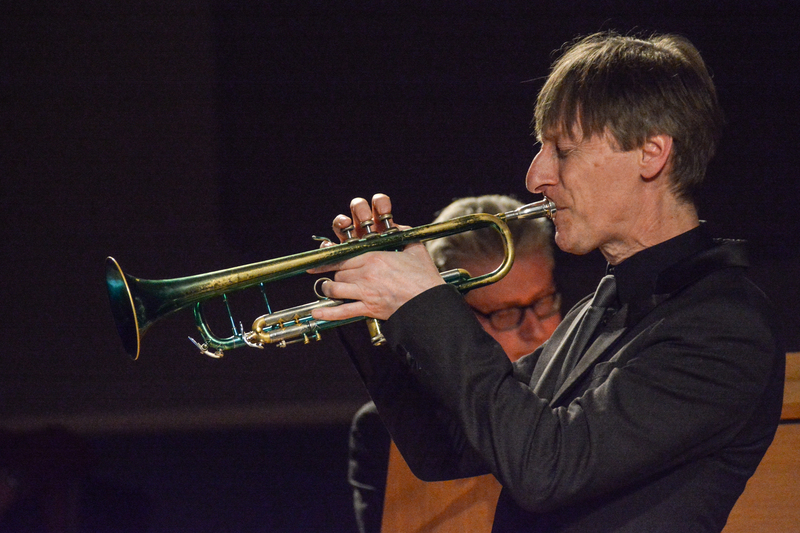 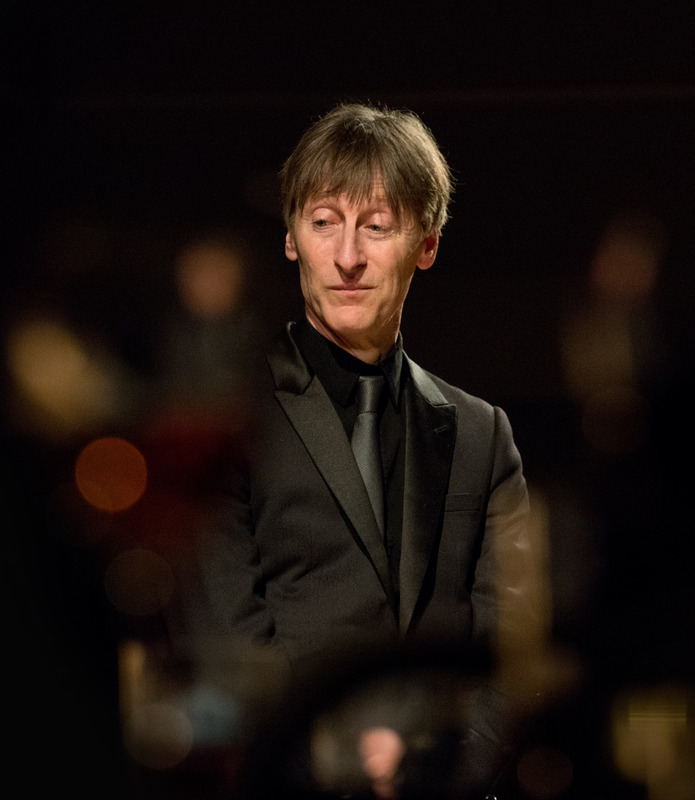 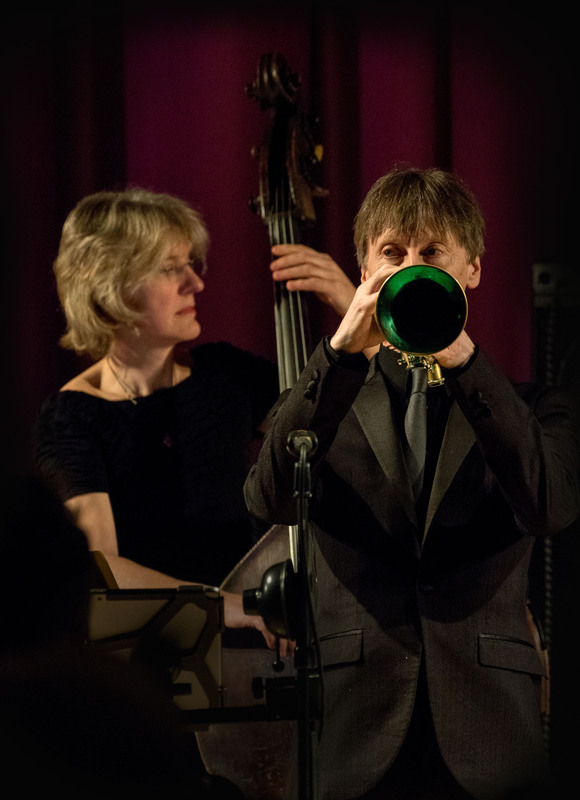 Following their acclaimed Hoagy project, the Chris Ingham Quartet revisit Dudley’s music with sounds from the fabulous 1960s Decca jazz trio albums, the TV show Not Only But Also (1965-70) and the brilliant movie soundtracks for Bedazzled (1967) and 30 Is A Dangerous Age, Cynthia (1968). 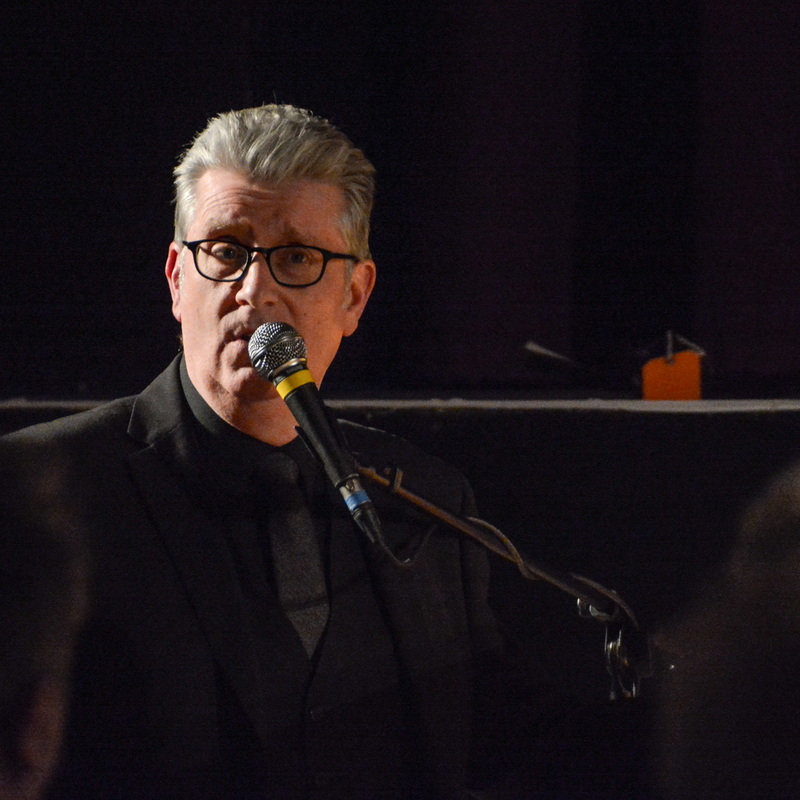 Again our friends, David Fisher & Michael Carrington, (from Aldershot, Farnham and Fleet Camera Club) have provided some excellent images capturing the gig. 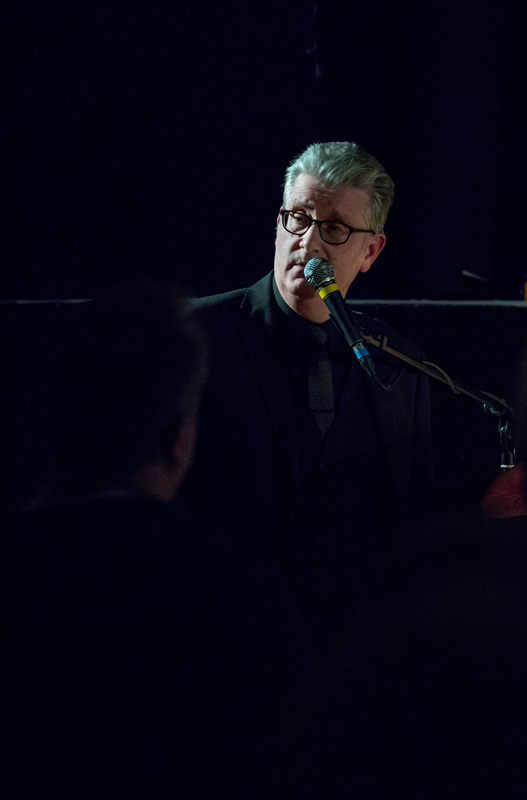 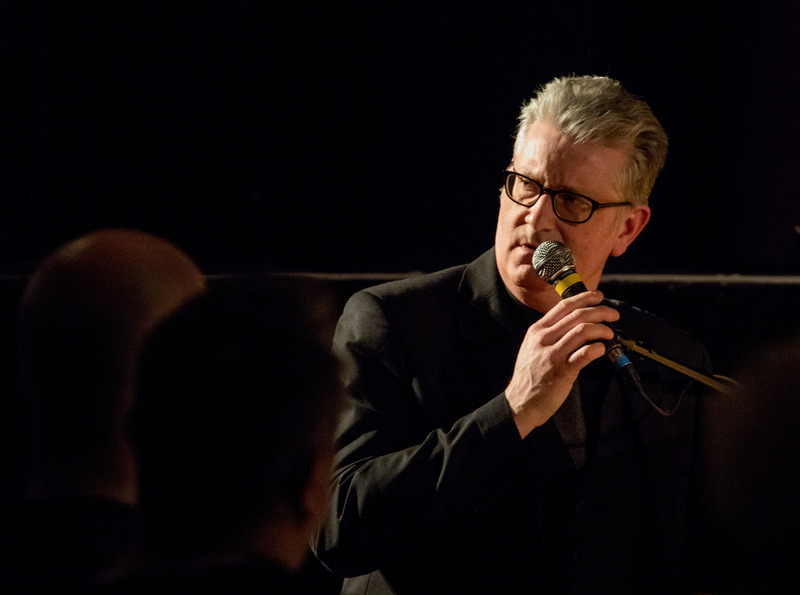 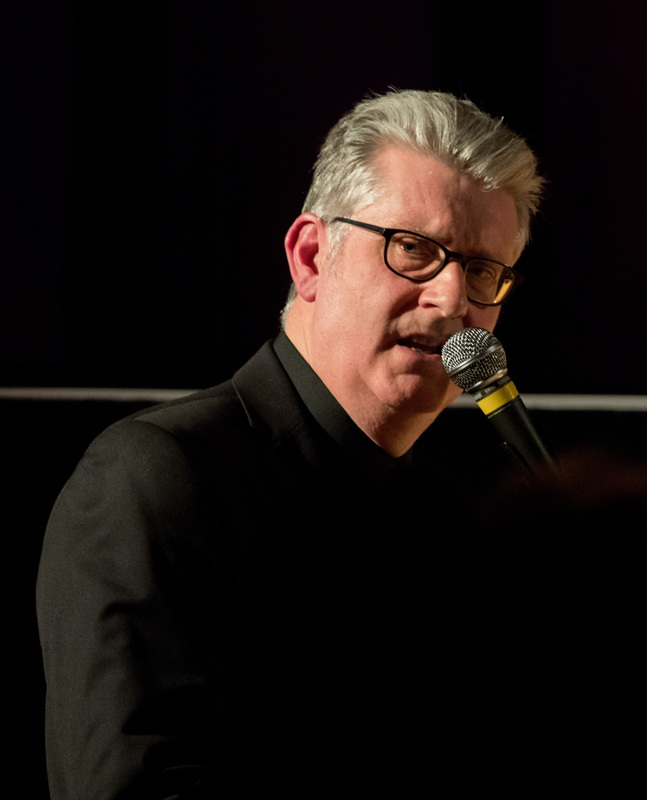 George Double performing at Fleet Jazz Club on 20th February 2018. 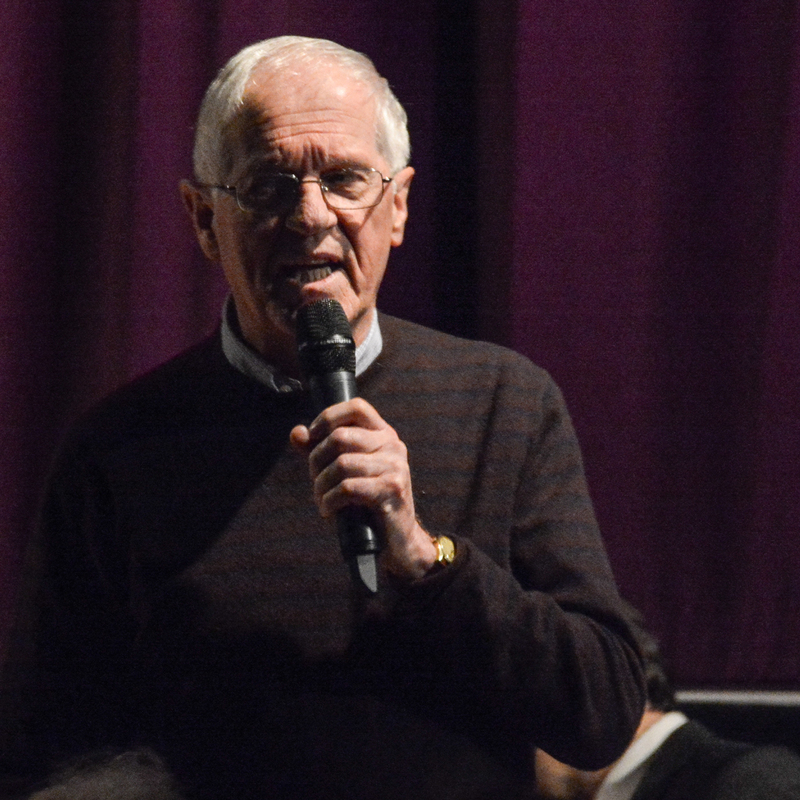 Photograph courtesy of Michael Carrington from the Aldershot, Farnham & Fleet Camera Club. 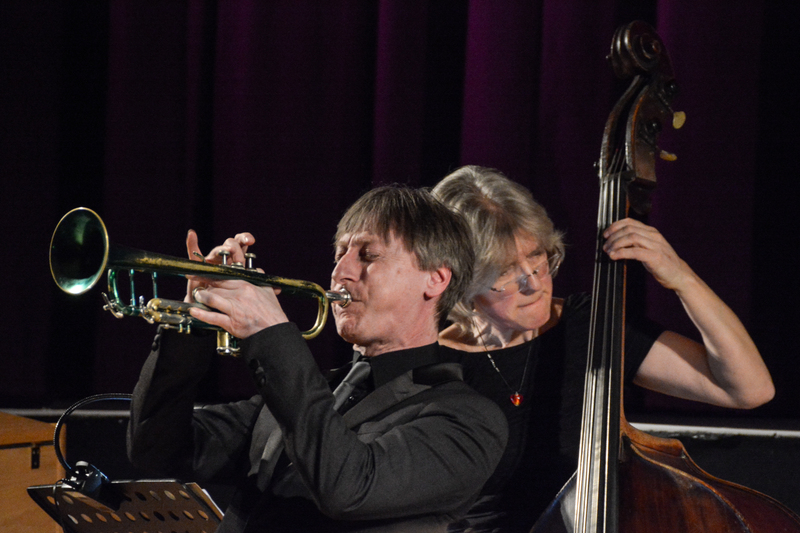 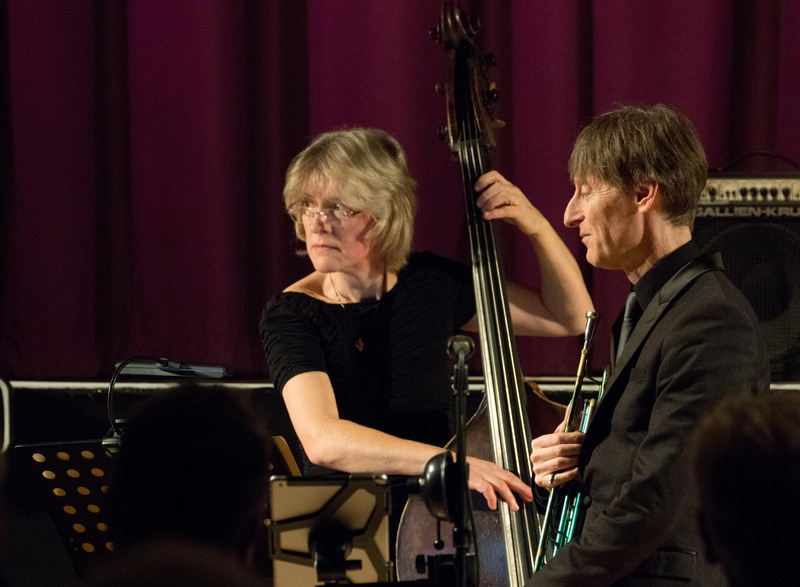 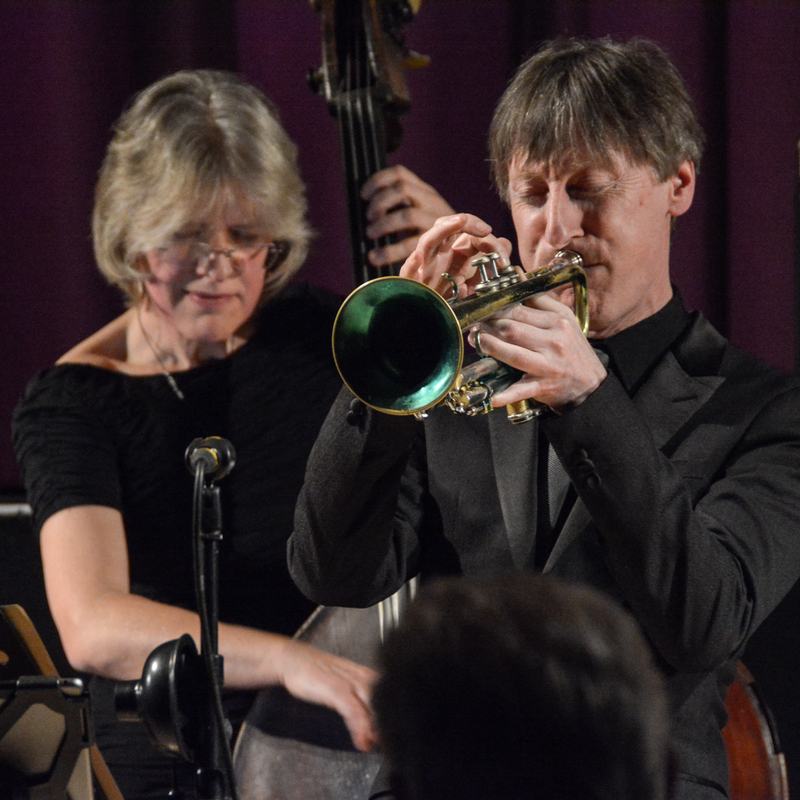 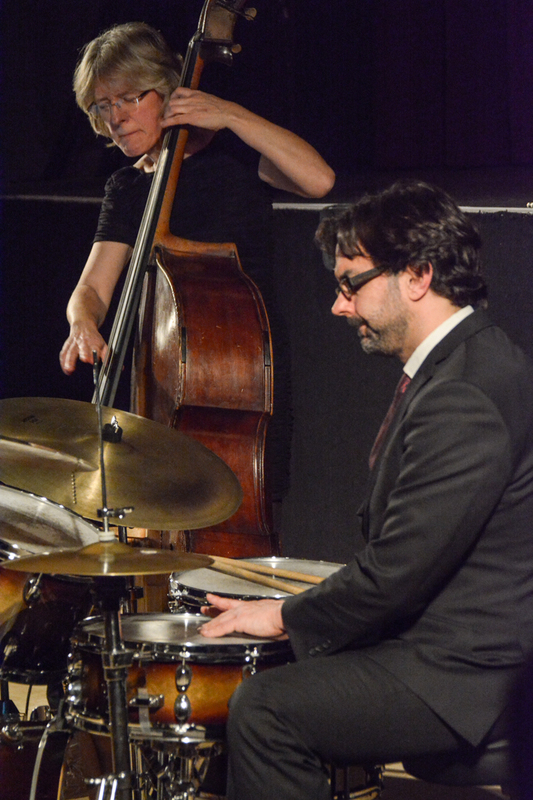 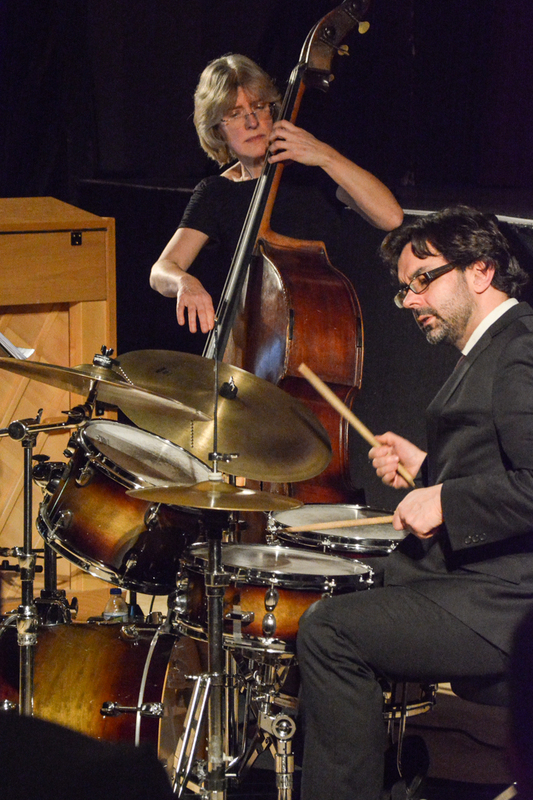 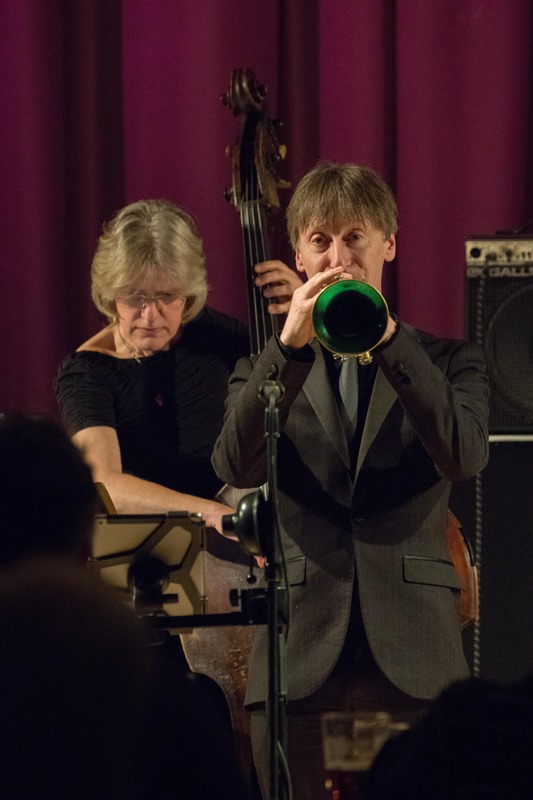 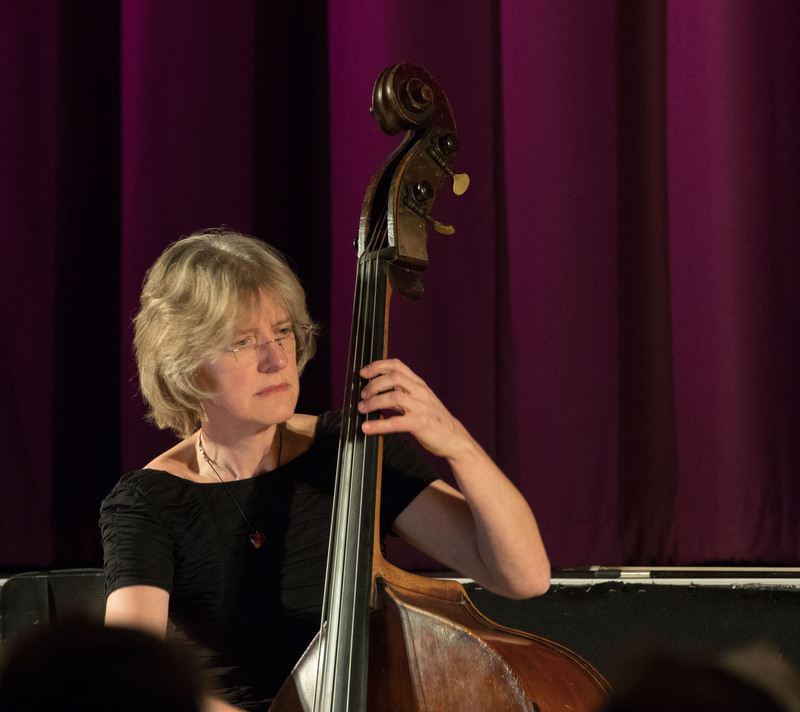 Marianne Windham & Paul Higgs performing at Fleet Jazz Club on 20th February 2018. 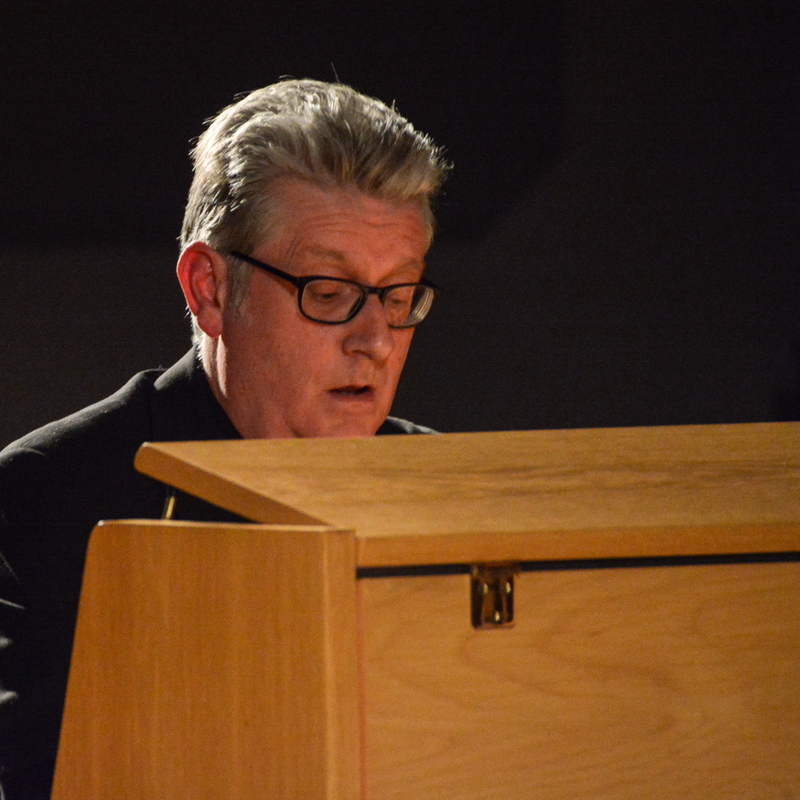 Photograph courtesy of Michael Carrington from the Aldershot, Farnham & Fleet Camera Club. 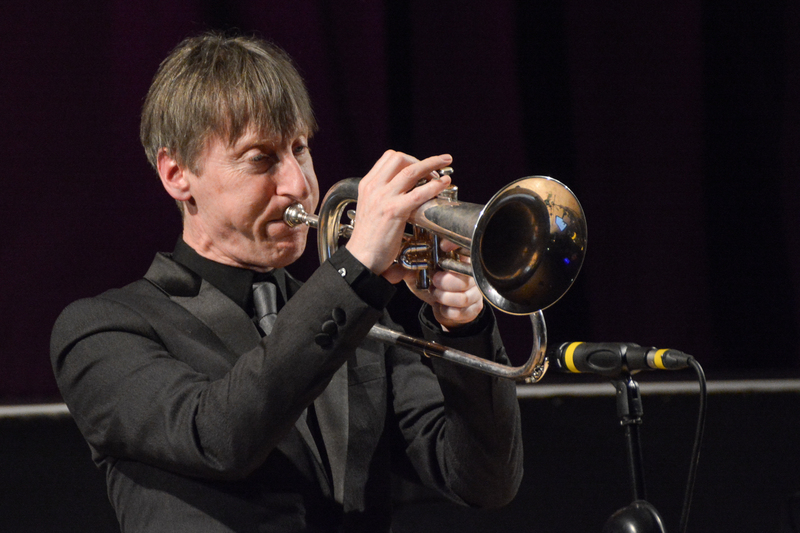 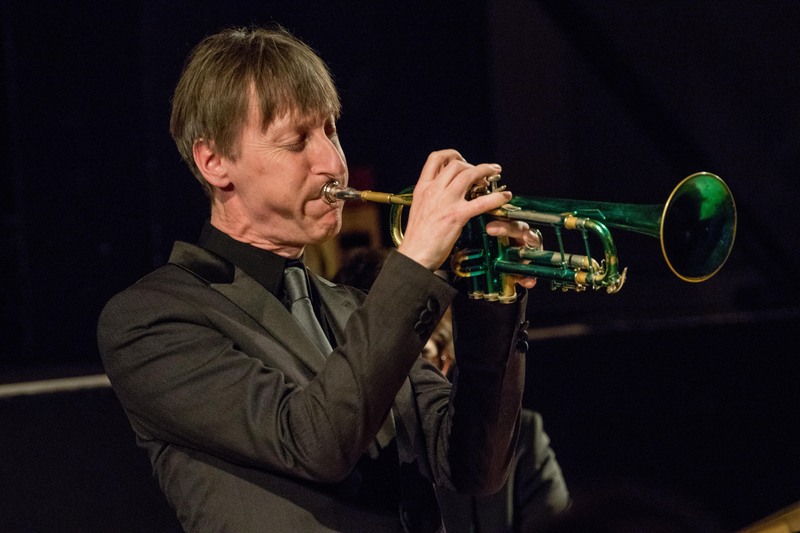 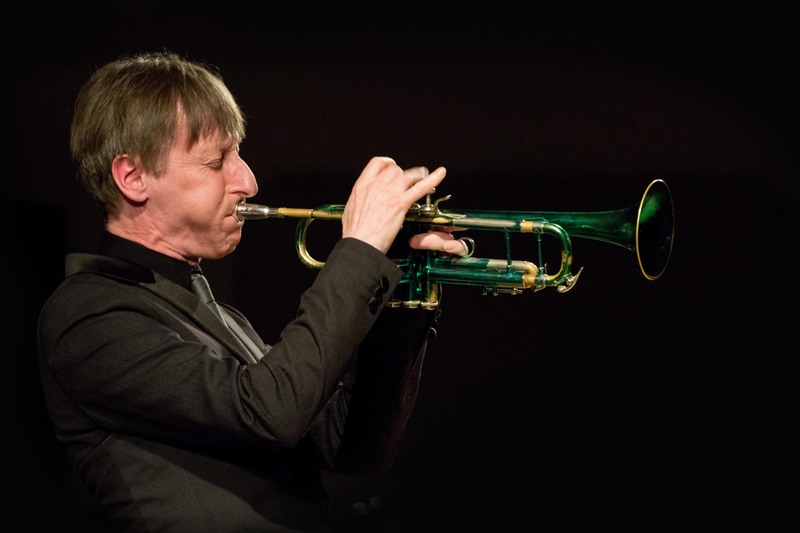 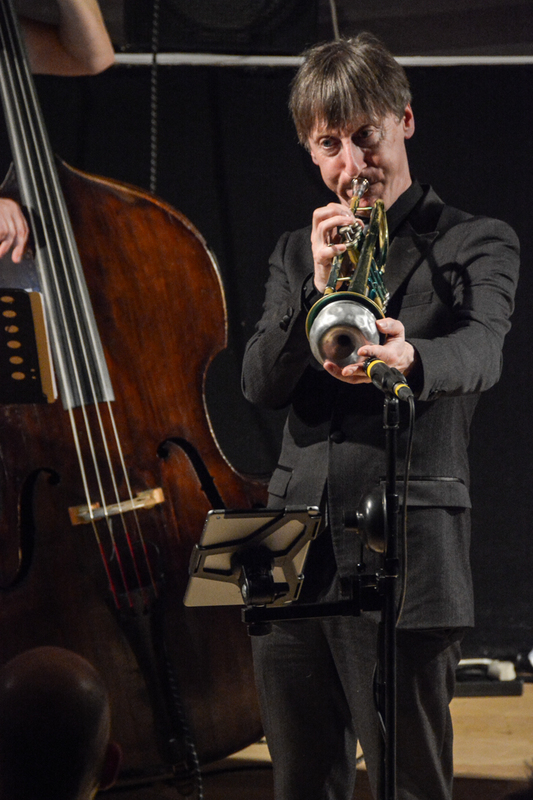 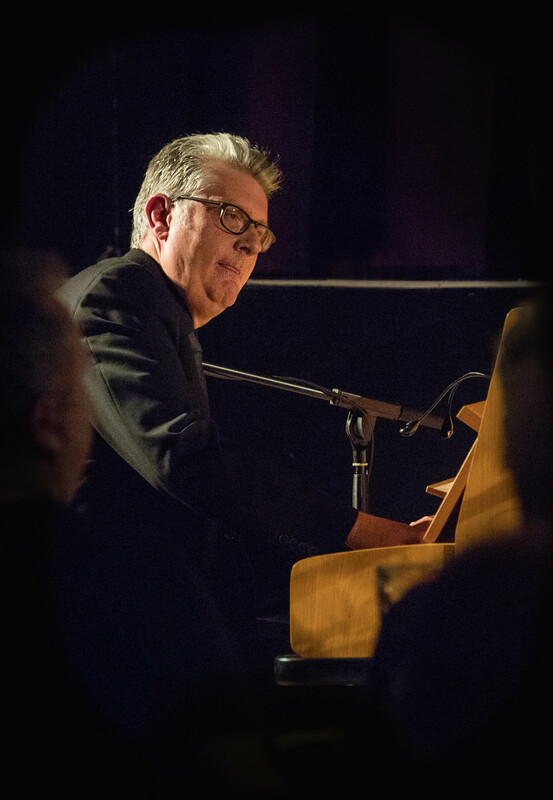 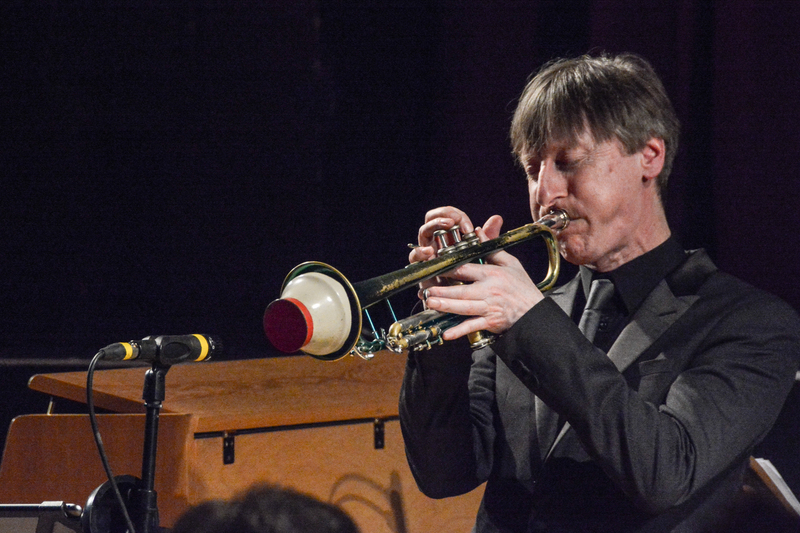 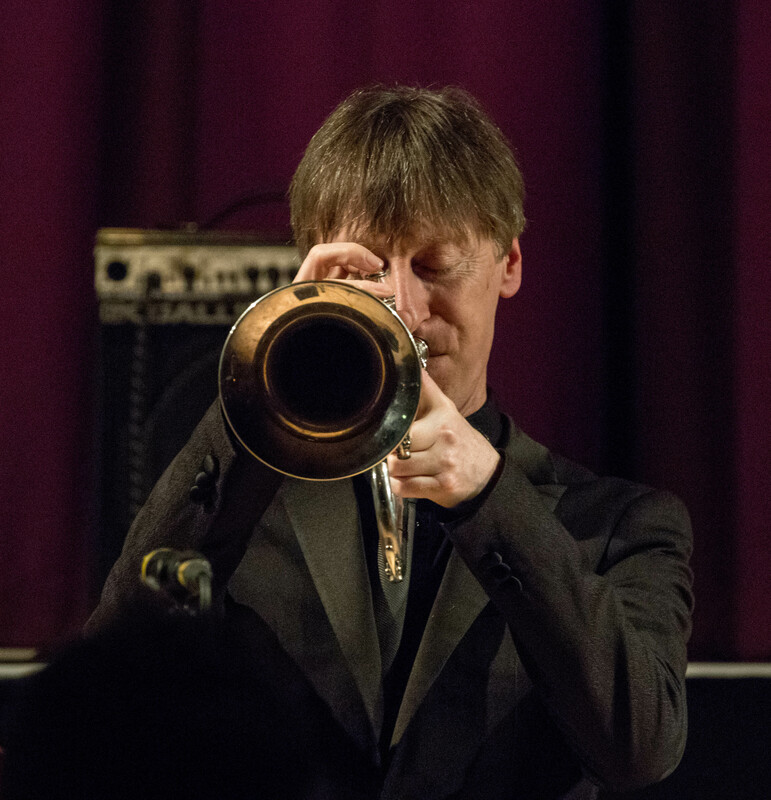 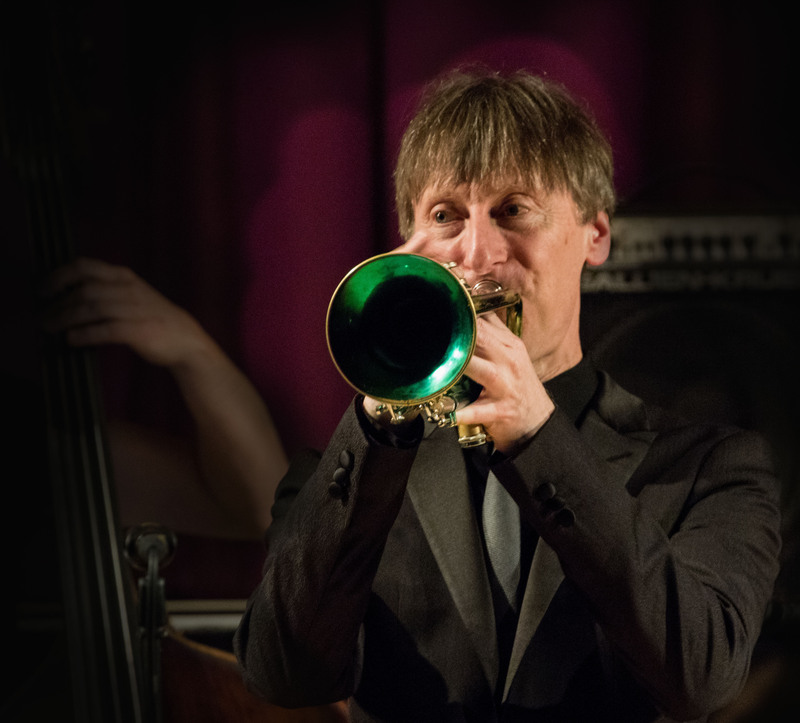 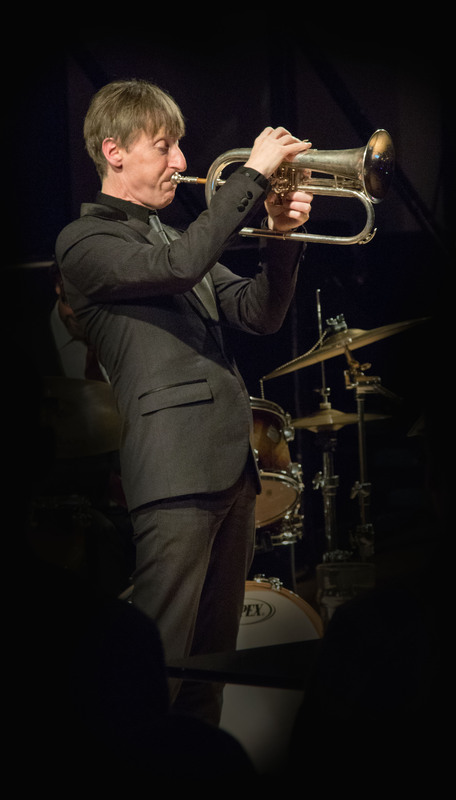 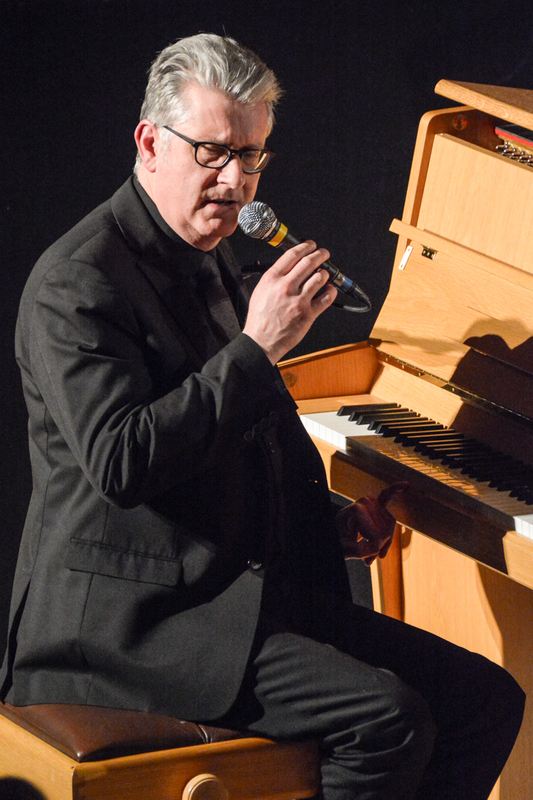 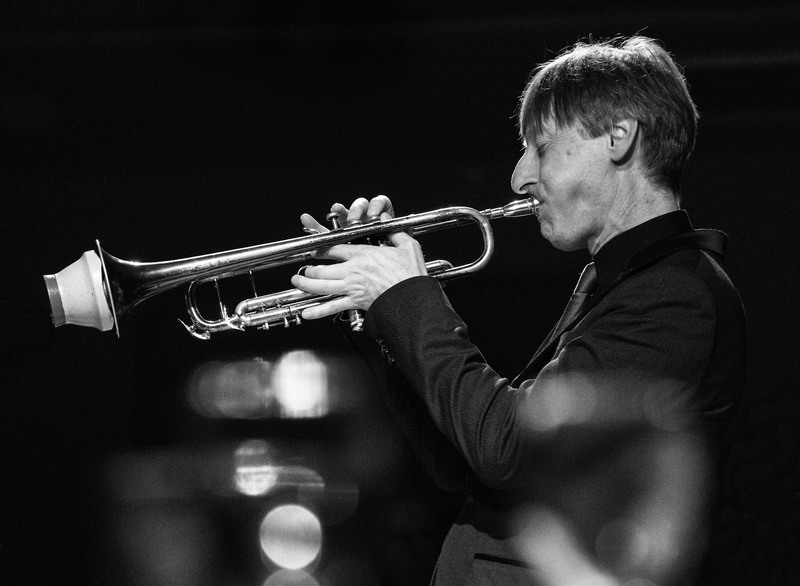 Paul Higgs performing at Fleet Jazz Club on 20th February 2018. 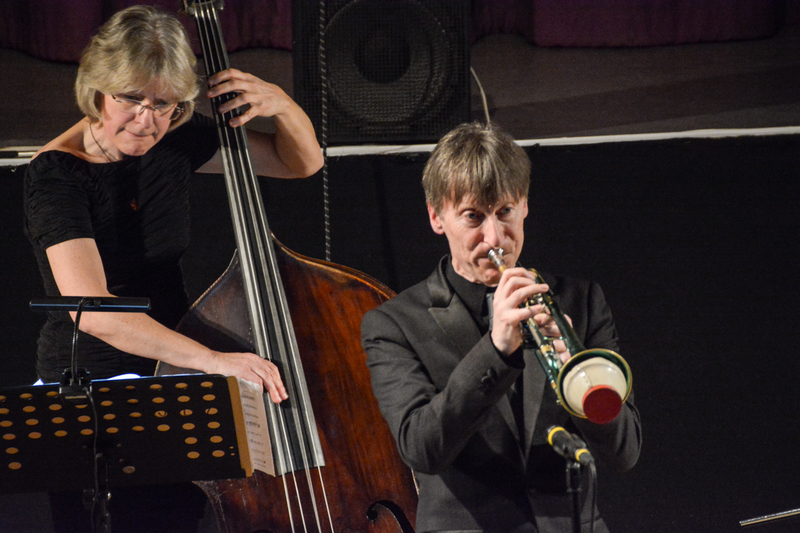 Photograph courtesy of Michael Carrington from the Aldershot, Farnham & Fleet Camera Club. 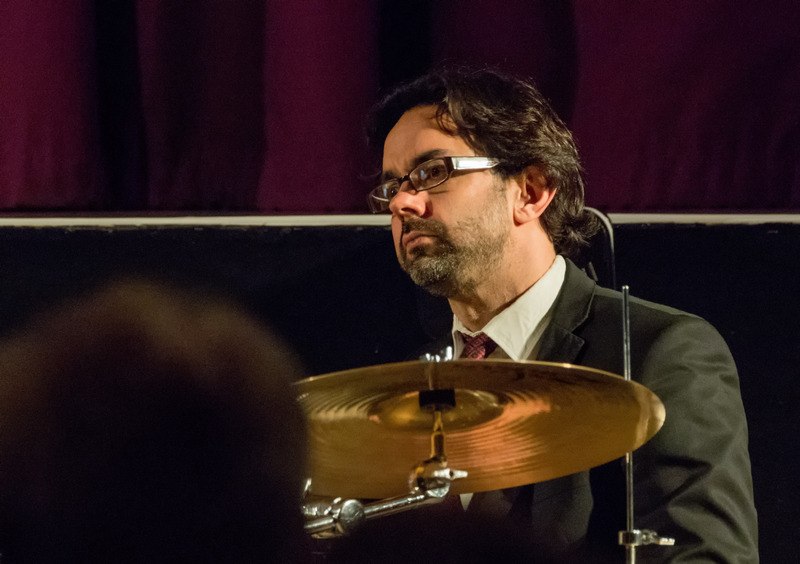 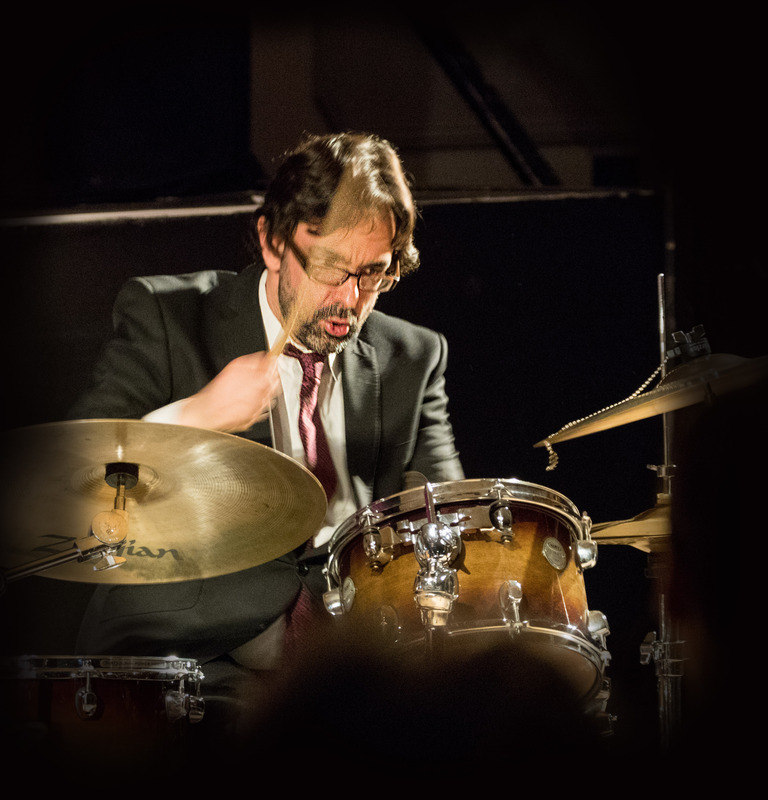 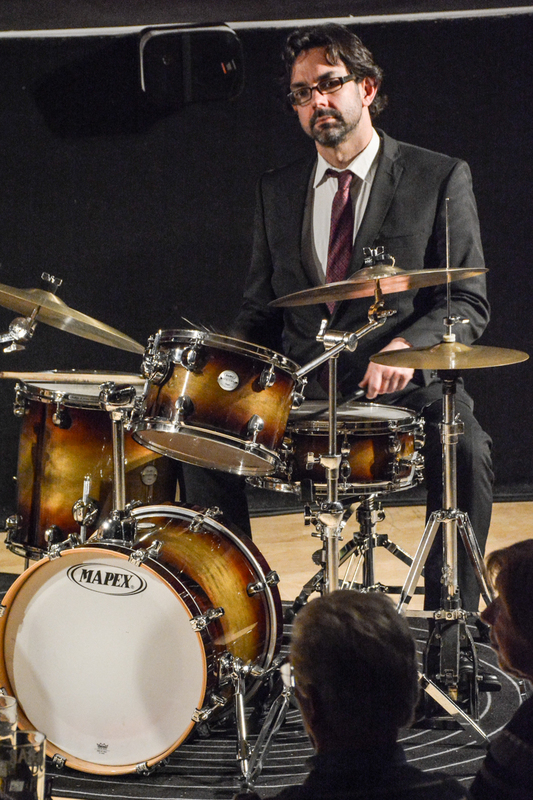 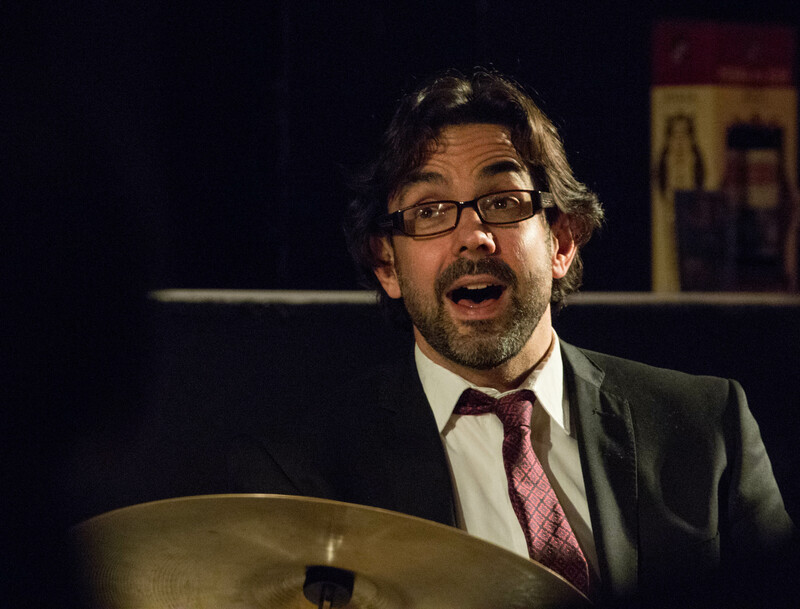 The Chris Ingham Quartet performing at Fleet Jazz Club on 20th February 2018. 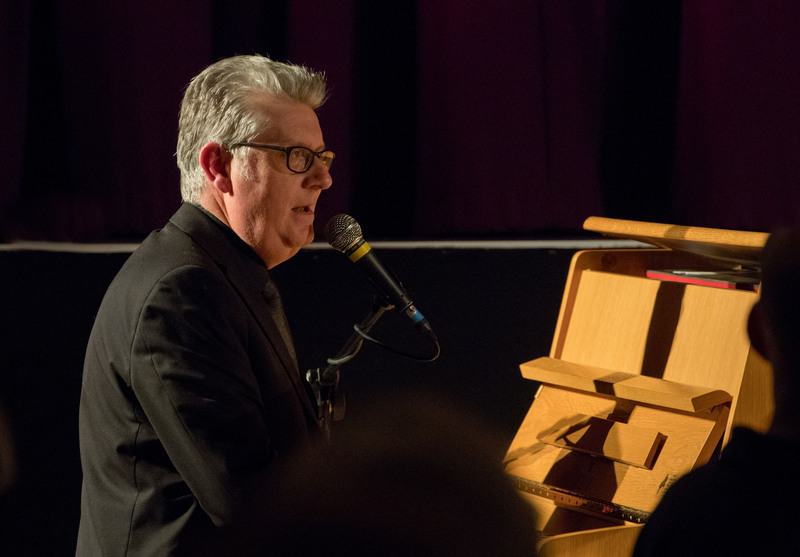 Photograph courtesy of Michael Carrington from the Aldershot, Farnham & Fleet Camera Club. 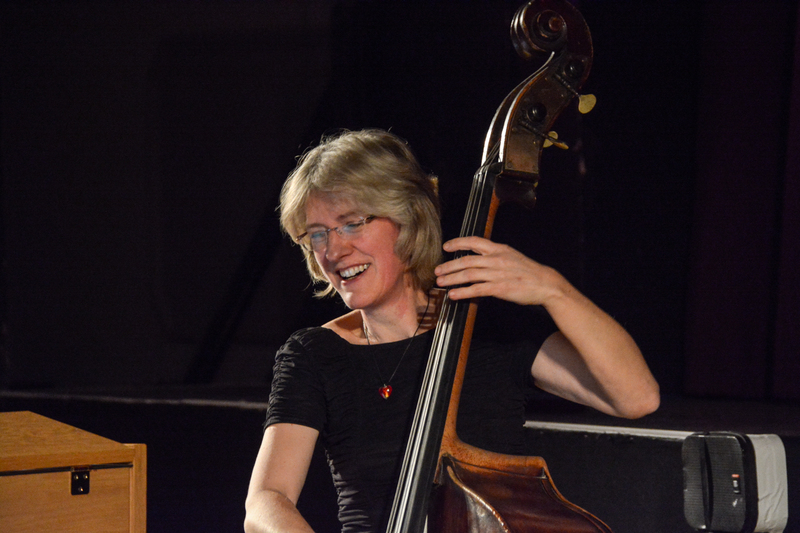 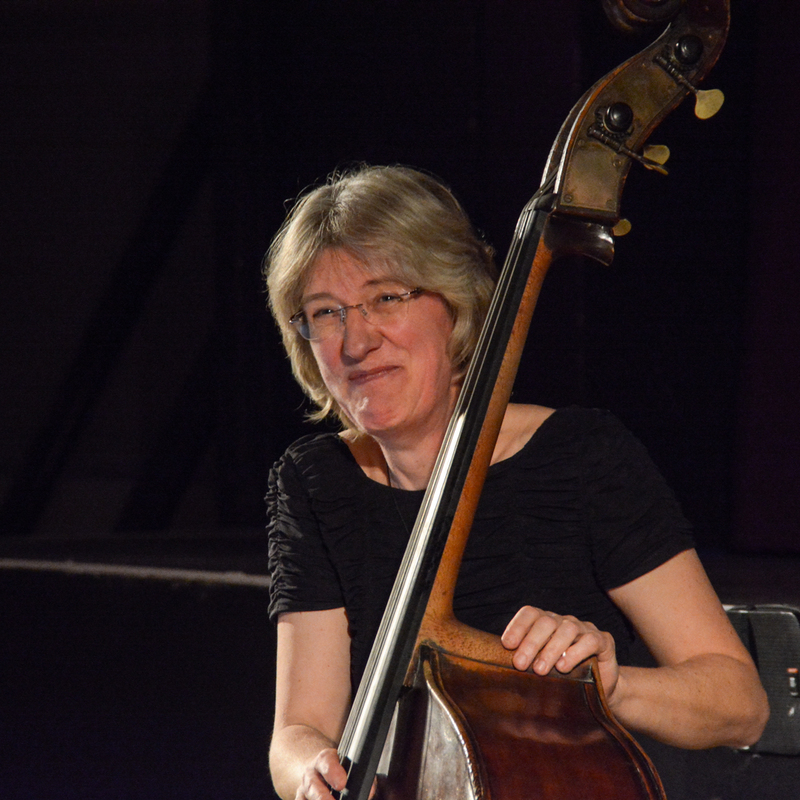 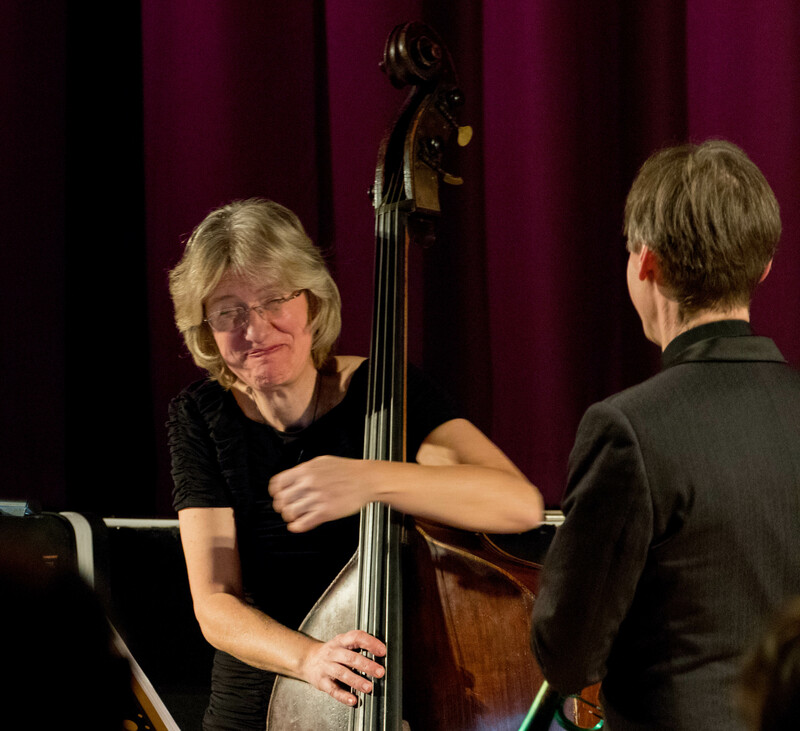 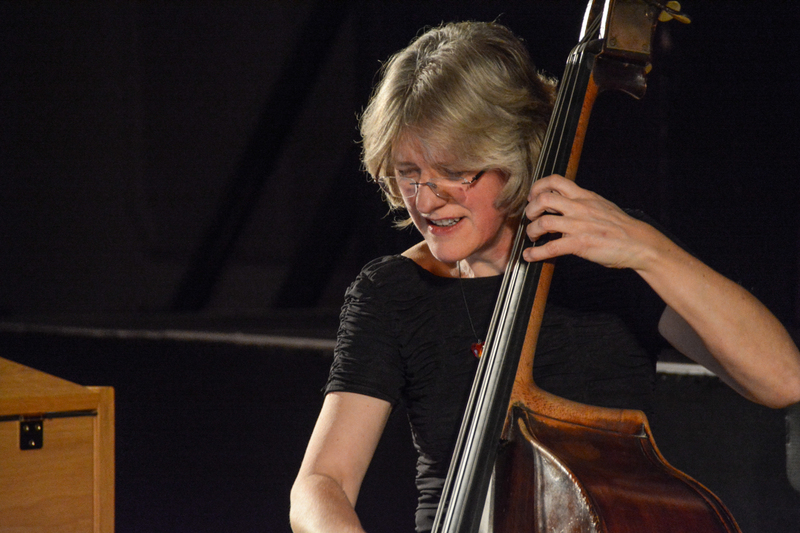 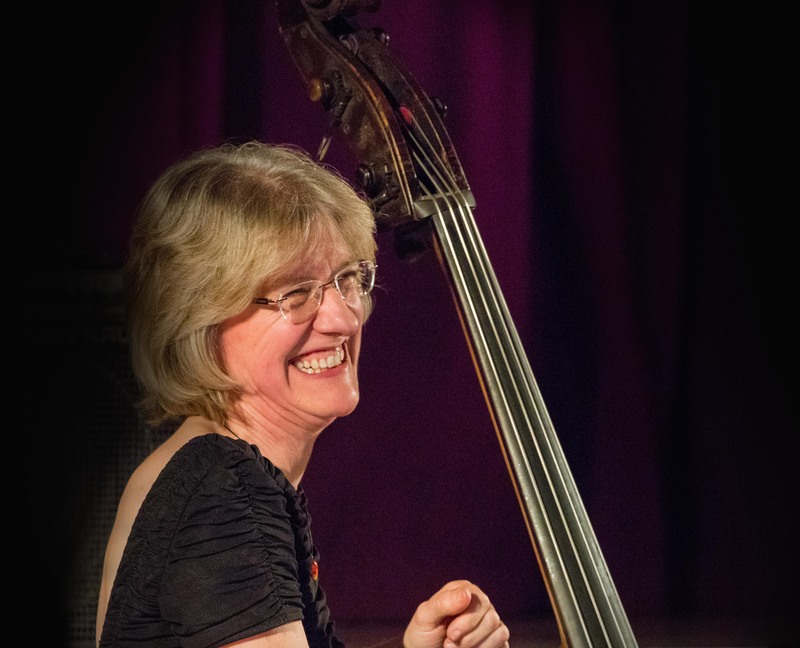 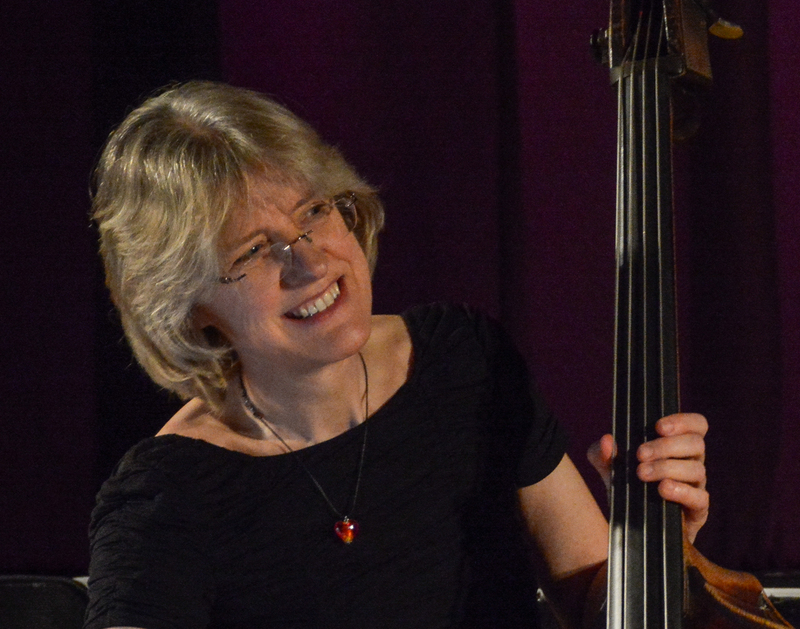 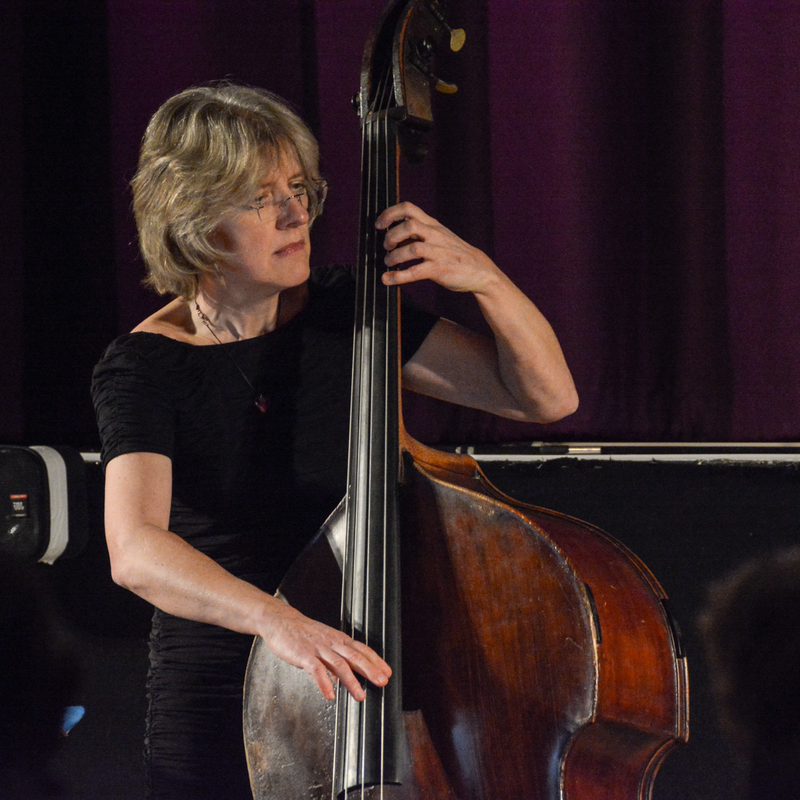 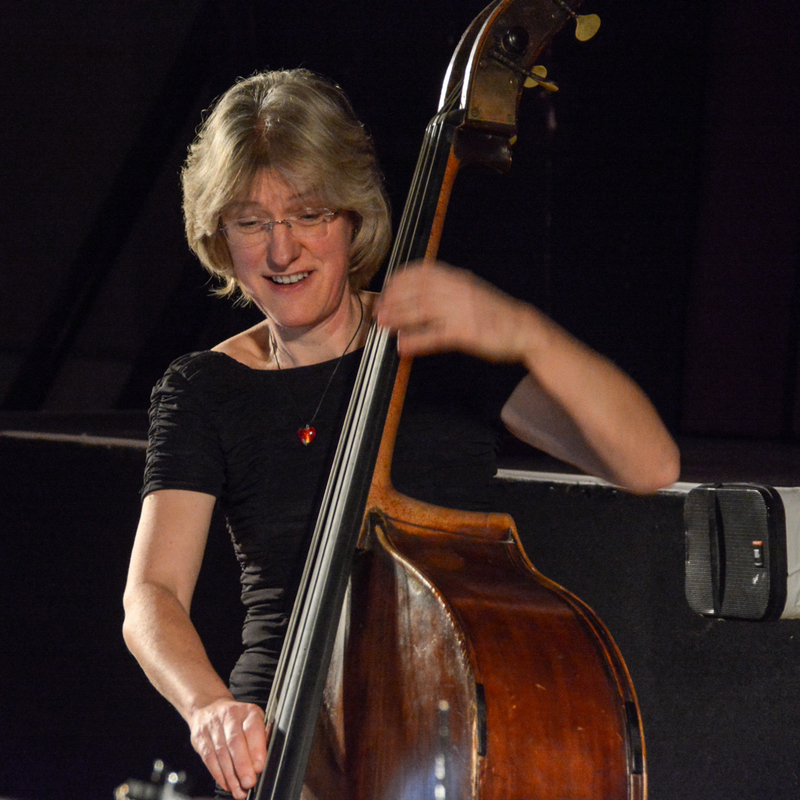 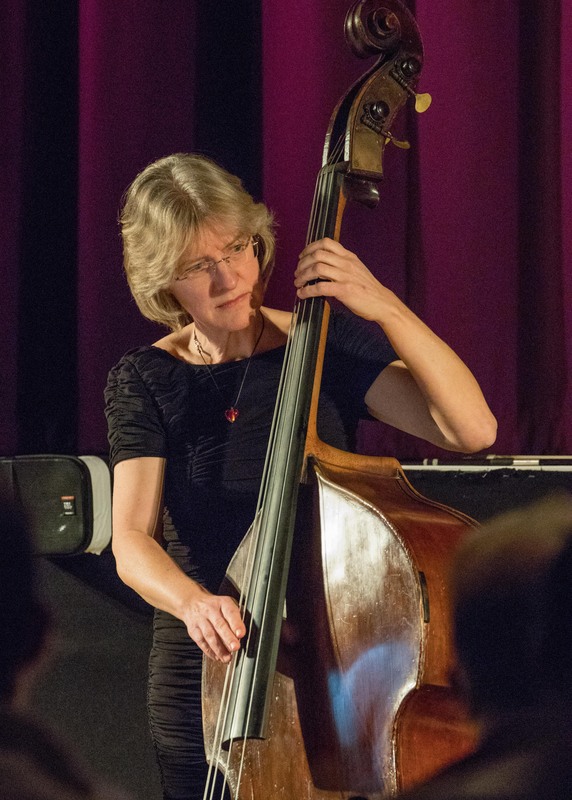 Marianne Windham performing at Fleet Jazz Club on 20th February 2018. 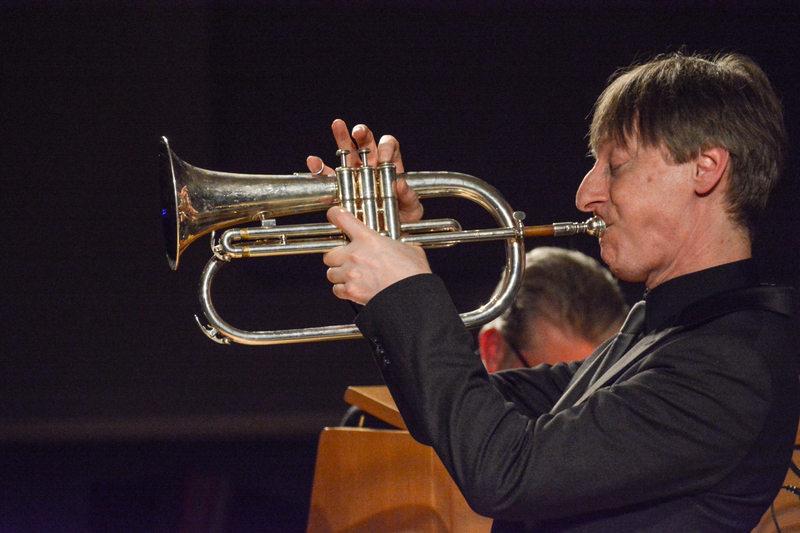 Photograph courtesy of Michael Carrington from the Aldershot, Farnham & Fleet Camera Club.